Construction equipment rumbles outside, and Amy Shook lies on her back, her head and knees slightly elevated and tiny needles poking out of her ears and forehead, the backs of her hands, the tops of her feet and the crown of her head. She could not be more calm. Really, she couldn't be. She's mother to a 1-year-old and a 4-year-old, and her husband, a train engineer, often works out of town. "This is more relaxation than I get at home already," she said, even before her acupuncturist, Rebekah Giangreco, inserted the first needle during her session last week. Shook, 37, who's suffered debilitating migraines since suffering a head injury 15 years ago, credits both the alone time and the needles for cutting their number from five to eight a month to two or three. Her migraines last as long as 12 hours and feel like "my brain is going to explode," so that's life-changing. Shook is not alone as someone who found unexpected relief in acupuncture, especially among women, as its use has become more mainstream -- and as studies stack up touting its potential to relieve pain and problems related to women's reproductive systems. A recent review of 29 studies of acupuncture and pain relief found that it worked better than usual pain treatment and a little better than fake acupuncture, which mimicked the procedure but either didn't pierce the skin or didn't use acupuncture points on the body. That analysis, published last month in Archives of Internal Medicine, examined raw data from original studies involving nearly 18,000 people. While it's used by millions of people, among questions surrounding acupuncture is whether it's merely an "elaborate placebo," according to the National Center for Complementary and Alternative Medicine at the National Institutes for Health, which paid for the analysis. While the difference was small, patients who'd received real acupuncture reported better pain relief than those who'd received fake versions, showing that acupuncture is more than placebo, the authors said. Other recent studies have found acupuncture to be effective against problems specific to women, including hot flashes and other symptoms related to menopause, irregular periods and infertility, and pain related to treatment of breast cancer. None of that comes as a surprise to acupuncturists, who cite the practice's ancient roots in Chinese medicine. But the research does make others more aware of its potential benefits, Spokane Valley acupuncturist Coleen Smith said. "The studies are helping people understand that there's something to acupuncture and it's not just an ancient Chinese secret," said Smith, whose practice, Point of Origin, is on East Broadway Avenue. The World Health Organization's acknowledgement that acupuncture is an effective treatment for a host of ailments helps, too, she said, opening physicians' eyes to acupuncture's value. The WHO's list of conditions for which acupuncture has been proven to be effective includes induction of labor and morning sickness. It lists infertility in women, labor pain, lactation problems and premenstrual syndrome as conditions for which acupuncture has been shown to be therapeutic but that need more proof. Women represent 70 percent to 80 percent of Giangreco's clients at New Moon Family Wellness Center on South Cowley Avenue. Of those, about half are there with problems related to their reproductive systems -- trouble conceiving, irregular periods, severe menstrual pain. The other half mostly report other pain -- headaches, backaches -- "gut issues" or anxiety. The idea of being able to offer drug-free, surgery-free alternative treatments to women was part of acupuncture's appeal for Giangreco, she said. "Growing up, if I had a problem with menstrual pain or menstrual irregularity or any of the other female problems, my options were Motrin or hormones or surgery," she said. "Those are your options as women ... and those aren't really good options. Those are symptom control." Other patients have included women who tried other routes to have a baby, including fertility drugs and in vitro fertilization. Doctors could find no blockages in their reproductive systems, and their hormone levels seemed right, but they weren't getting pregnant. "It's very rare, but I've had a handful of women in my practice who've been trying to conceive for anywhere from nine months to three years, and with two treatments, the next cycle they're pregnant," Giangreco said. Smith said about 70 percent of her patients are women, including those trying to get pregnant and those suffering some effects of pregnancy: morning sickness, back pain, carpal tunnel syndrome. Acupuncture is one piece of a body of medicine called East Asian medicine, which also includes Chinese herbal medicine and dietary and exercise recommendations, according to the Washington East Asian Medicine Association. The association and others worked to create legislation signed by Gov. Chris Gregoire in 2010 to update the statute governing acupuncture to include other East Asian practices, too. At the heart of acupuncture is the concept of chi, or energy that flows through rivers in the body called meridians that come to the surface of the body and then connect to specific organs and glands. "Energy is everything," Giangreco said. When chi gets blocked by various stresses, it can't nourish those body parts, which leads to pain and illness, tiredness, sluggish digestion and cold feelings. During a typical treatment, acupuncturists insert as many as 20 needles at specific points on the body, depending on the patient's problems, to correct the flow of chi. "You're giving it messages about increasing circulation and reducing inflammation and improving the flow of energy, and you're not hitting it over the head with a pharmaceutical that's tackling the symptom but not the core problem," Giangreco said. While the energy is invisible and acupuncturists aren't sure exactly how the needles send those messages, they do track measurable signs and symptoms reported by their patients. Maybe they're sleeping better, Smith said. Maybe someone with persistently cold feet feels warmer or someone with menstrual problems suffered no monthly facial breakouts for the first time. Shook, the mother with the migraines, said she doesn't necessarily understand what the back of her hand has to do with the pain in her head. Before her first acupuncture treatment, she worried that it would be painful or a waste of her time. In agony, she was willing to try. "I absolutely could not believe it. 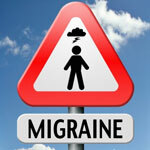 The migraine went away in 10 minutes," Shook said. "I have never experienced anything that helped me that quickly or that completely."